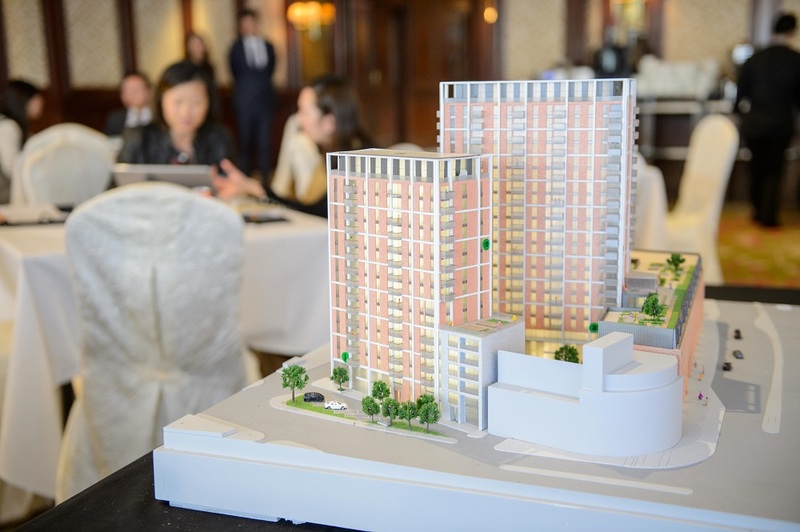 Manchester’s property market is stimulated by the Northern Powerhouse Initiative, the High Speed Rail project, and a number of regeneration developments within the city. 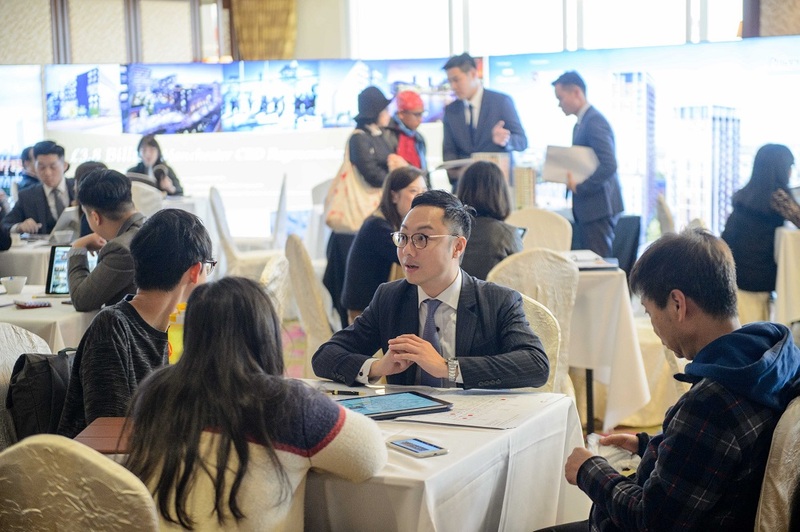 A recent report ranked Manchester as the fastest growing city across 20 cities in the UK and reported that its property market last year reached a growth rate of 6.6%. 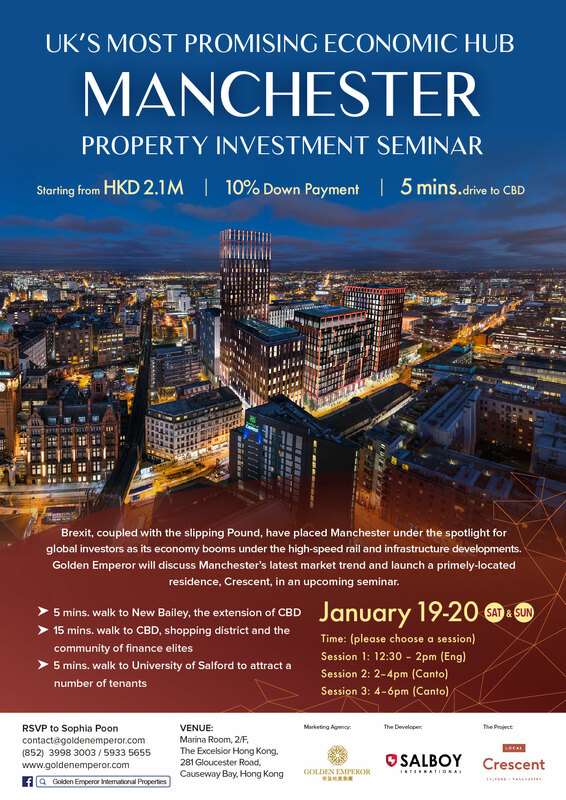 With a lagging British pound and Manchester’s strong economic growth and investment potential, now is the best opportunity to invest into the city’s property market. 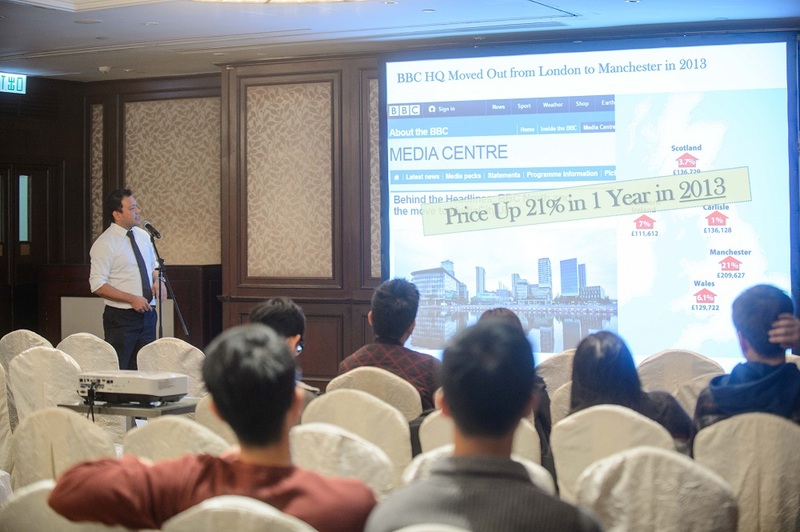 Golden Emperor Properties hosted a Manchester Property Investment Seminar and launched the latest residence, Crescent, crafted by one of Manchester’s most renowned developer, Salboy International. 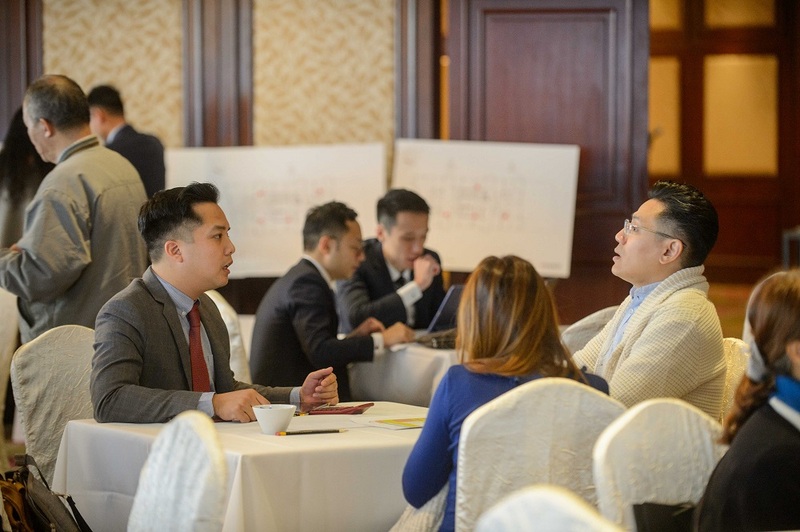 Nearby finance district New Bailey and digital hub MediaCity, the seminar was widely supported by investors during the 2-day seminar event. 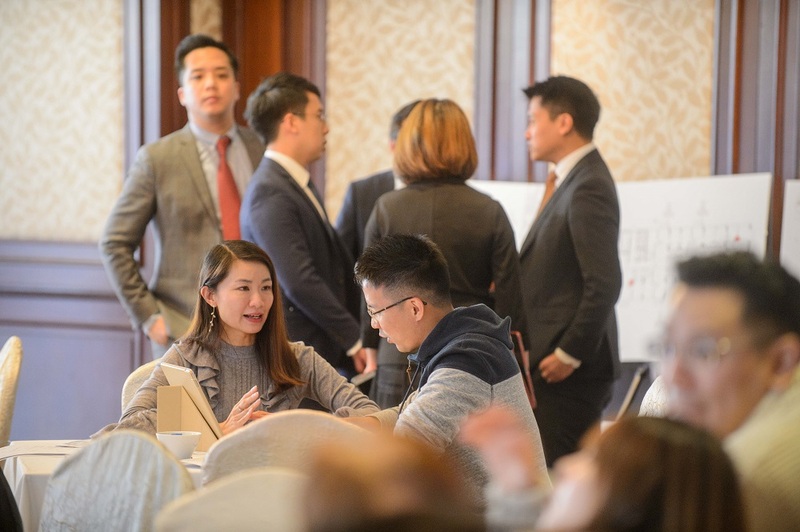 Photo Above: Golden Emperor Properties Managing Director, Mr. Terence Chan discusses the latest trend of Manchester’s property market at the seminar over the weekend. 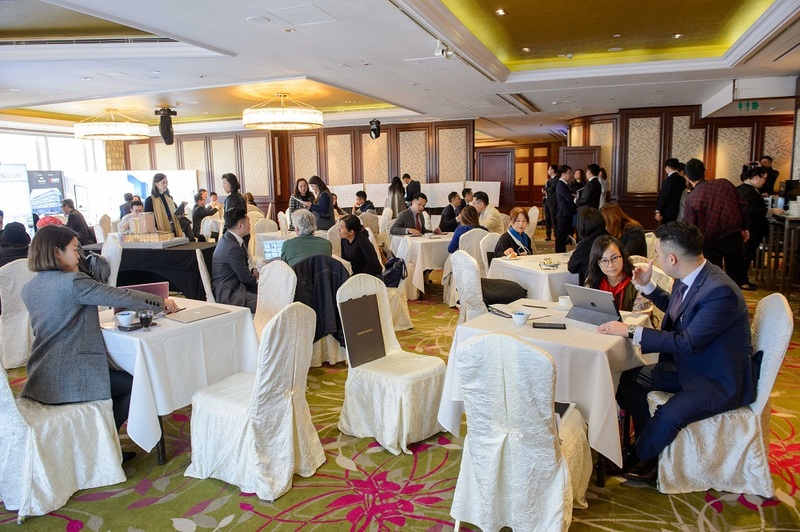 Photo Above：The 2-day seminar received a wide amount of support from investors.